This study aid, prepared by Eric Noreen, provides suggestions for studying chapter material, summarizes essential points in each chapter, and tests students knowledge using self-test questions and exercises. 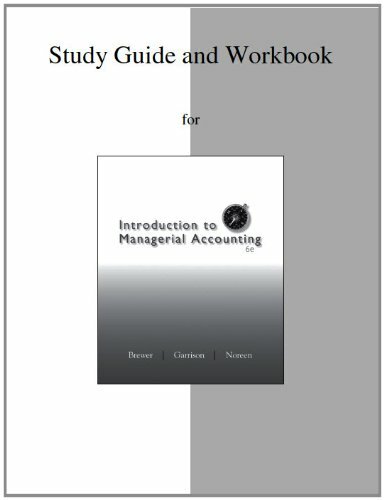 Brewer 6e is a briefer, more accessible, and thoroughly student-friendly text that satisfies the basic needs of the managerial accounting student without unnecessary depth on advanced topics associated with the follow-up course cost accounting/cost management. Peter C. Brewer è professore presso la Miami University- Oxford, Ohio.